A comment I hear often is that teachers struggle to get classes working together; attempting to put children into groups to do a task can sometimes end in chaos. I find that when the children have set their own task and been given the option to choose who to work with, then the group work becomes much more focussed. 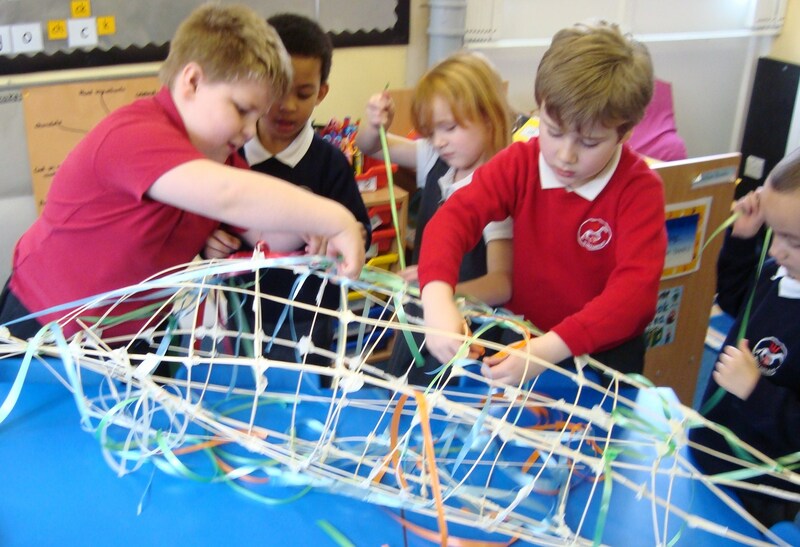 One of the most positive things that comes out of my projects is how well the children work together; there is a great sense of group achievement when everyone is involved in making something. This entry was posted in Creativity and tagged Creativity, Education, Group work, Teamwork. Bookmark the permalink.